Have you ever measured how tall you are? We are growing every day and each night that we go to sleep we get taller! As we grow, our body changes - our muscles and bones become stronger, our arms and legs get longer and we change shape. This is all part of growing up. It is important to check how we are growing to make sure that we are growing tall enough for our age and also to make sure that we have the right amount of fat tissue in our bodies. Three things help us to grow healthily: moving lots; eating healthily, drinking water and milk and sleeping! We are all a different shape and size and that is what makes us so special. When we eat food we get energy. Our body gets energy from food by ‘digesting’ it. This means our body breaks down the food so that it can take all the good stuff out (nutrients). This digestion starts when we first put food in our mouths. Our teeth start breaking down the food by chewing it and then it mixes saliva with it to make it mushy and easy to swallow. When we swallow the food it is broken down into even smaller pieces in our stomach (tummy). If we get more energy than we need, our body saves the energy by making fat tissue. We need some fat tissue to keep us warm and also to have a healthy nervous system. Fat tissue also allows our body to store energy, just in case we need it next month or next year. If we don’t get enough energy from our food, our body breaks down fat tissue so that it can use the stored energy. If the energy that we use up each day by playing and growing is more than the amount of energy we get from our food, our bodies use up the stored fat tissue. To make sure that our body has not used up too much fat tissue we need to check our growth. We measure growth by seeing how tall we are and how much we weigh. Our nurse, doctor, dentist, dietitian, physiotherapist or our parents can measure us and then put the numbers for our height (e.g 4 feet 6 inches or 140 centimeters) and weight (e.g. 5 stone or 32 kilograms) on a growth chart and see how we compare to other children our age. If our weight is less than the average weight for someone our age we call it ‘underweight’. If our body is storing more fat tissue than we need it can cause our weight to increase (go up). We measure our growth by seeing how tall we are and how much we weigh. Our nurse, doctor, dentist, dietitian, physiotherapist or even our parents can then put the numbers for our height (e.g 4 feet 6 inches or 140 centimeters) and weight (e.g. 5 stone or 32 kilograms) on a child’s growth chart and see how we compare to other children our age. If our weight is more than the average weight for someone our age we call it ‘overweight’. Obese is the word used to describe our weight when it is much higher than it should be for someone our age. We can only check whether we are obese by getting our height and weight checked and by putting these numbers into a child’s growth chart. We need to use a growth chart as our height is changing every day. I’m worried that I might not be a healthy weight? If you are concerned that you are underweight or overweight you should tell your parents or someone who you trust. Growing up means that our height and weight change every week. Some children can be worried that they are not tall enough, some worry that they are too tall and others worry that they weigh too much or too little. Sometimes we can get upset if other children or adults say things about how we look. If this happens to you, it is important that you tell someone you trust so that they can help. Remember, it is not kind to be mean to others about how they look (the colour of their skin, the type of hair they have or the shape of their body). If you are worried about your growth, you could ask your parent/s to measure your height and weight. Then he/she can put the numbers into a growth calculator and check what your body mass index is. The body mass index is like a maths calculation. 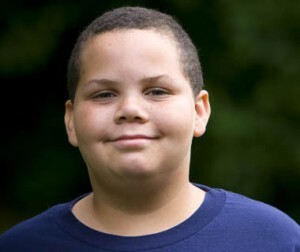 It is used to give a rough idea about whether a child is underweight, overweight or just right for his/her age. Your parent/s could also take you to see your GP so that your doctor can measure your growth. Another option is to go to your local health centre or chemist / pharmacy and use the height measure and scales there! Ask your parent/s to look at the parent section of this website and you can look at the Healthy and Happy section for some ideas on being as healthy as possible! 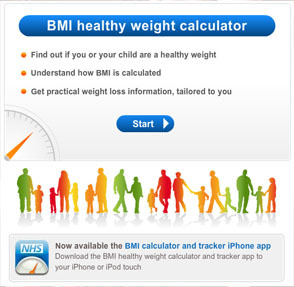 If your parents are measuring your height and weight, ask them to use the BMI calculator to check what your body mass index is today. - Not sleeping enough at night (primary-school children need to sleep 11-12 hours each night).